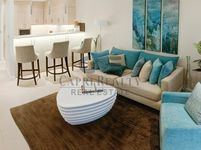 All displayed apartments for sale in Jumeirah Lake Towers offer unique opportunities for quality living style in distinctive residential towers in the heart of Dubai city. The majority of these apartments offer panoramic views of the city and Arabian sea, they offer also a wide range of enjoyable amenities to make passing leisure time quite unforgettable experience. The apartments in every tower have access to swimming pool, sauna, and steam bath. Residents can also find a spa where they can relax after a long working day, occasions hall to hold special events, BBQ area, and other amenities. Jumeirah Lake Towers are arranged into three clusters of towers. Numbered at 80 towers, Jumeirah Lake Towers are scattered throughout three artificial lakes which are Al Mas West, Al Mas East, and JLT. They stand on the shore of these lakes offering panoramic views as well as nice promenades on the lakes shores. The types of apartments for sale in Jumeirah Lake Towers are different. There is a large variation of residential units in the area to meet the customers’ demands. The apartments vary in size between one-bedroom to five-bedroom apartments. They come as furnished, semi furnished and fully furnished units. Many investors prefer furnished apartments since they are easier to get leased, others who like to deck up their apartments according to their own taste like to buy unfurnished ones. 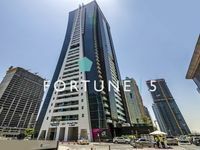 Jumeirah Lake Towers isn’t short of anything, it has enough public spaces to enjoy time, it has all needed facilities for comfortable living, and it has the location. 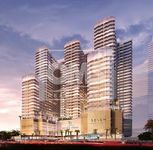 The project is centrally located near many of Dubai hotspots like Ibn Battuta Mall, Dubai Mall, and Mall of the Emirates. Why buy an apartment in Jumeirah Lake Towers? When looking for a nice place to live, the displayed apartments for sale in Jumeirah Lake Towers have the finest options. The apartments are well suited for singles, couples, and families. If you are looking for lucrative investment, the apartments there are highly demanded between Dubai residents thanks to its location. They also mark an average of 8% to 10% appreciation in value each year. Many developers were engaged in construction the project’s towers, high-end designing houses made the master planning, while the interior designing, architecture, landscaping, and zoning were provided by masterful professionals. 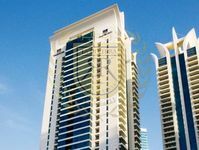 Jumeirah Lake Towers was wholly designed to be a fancy residential community worth of being placed in the heart of cosmopolitan city like Dubai. The wide set of apartments available for sale on Just Property are the finest in the area. They vary in all specifications to be suiting for all desires. Buying an apartment in JLT is definitely worth thinking if you are looking for investment in Dubai property market. 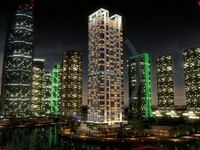 It’s a luxury property well located in the heart of the city and well designed for catering a favorable style of living. Contact information of the property vendors are accessible for all users, just check the property and call the number if you find it suitable. There is a full team of sales consultants available all day round to get your call and offer all needed assistance in this regard.